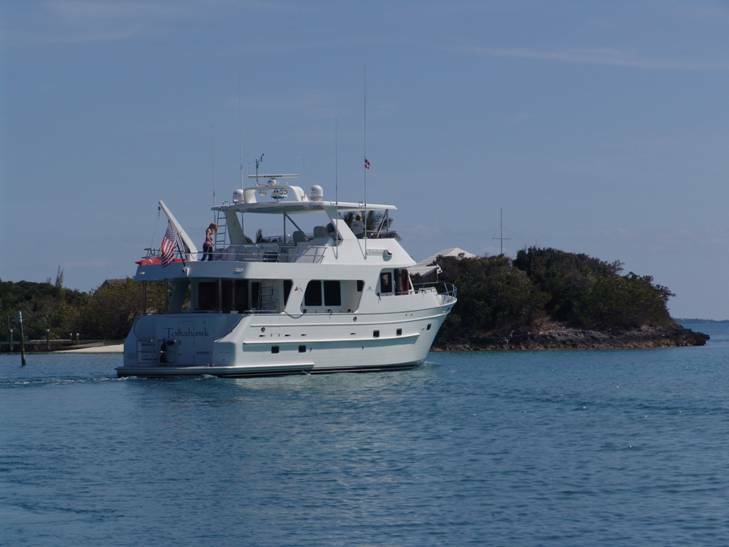 I wanted to thank you for all of your help with the sale of the 65' Outer Reef "TOMAHAWK" to my client Steven Schude. You were a pleasure to deal with, helpful and very knowledgable about the "TOMAHAWK". Both Steven and I were impressed with you and your company Outer Reef. This was a brokerage deal but Steven was treated like a new yacht buyer and felt like part of your family. Personally I can't say enough about your professionalism. After being in the new & brokerage sales over 37 years I can't say that I've ever been trated like I was part of the company doing a deal. You and Outer Reef has the buyer's best interest in mind when finalizing the deal and helping deliver him a great yeacht. He felt very comfortable with you and Outer Reef and he is sure to be a big supporter from this point forward. Please share this with your manager and express my sincere thanks. This was definitely one of our best experiences in all of my brokerage sales. Thank you for all your time and help and know that I will be please to deal with you and Outer Reef in future sales.